Matthew was a young student in Bangalore, India. He met the Olsons through Samalie, the Olson’s adopted daughter living in Bangalore. As they talked they found a common ground. Matthew was from SackieGbomah, the village where the first playground had been built. The friendship grew over the months. The time came when both the Olsons and Matthew left Bangalore, India. Matthew had completed his graduation, and it seemed only natural to for him to return home and work among his people in Liberia. After seeing his outstanding skills in India, GT is excited to see how this new partnership will grow in Liberia. We welcome Matthew into the Gathering Together family as the Director of Gathering Together, Liberia. Matthew had been a great support enabling GT to be registered in Liberia, as well as expanding our projects already on the ground. We are very thankful to have this bright young man to be working alongside us. 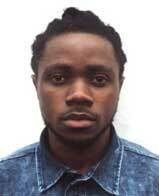 William (Willie) Lloyd is completing his education in Information Technology. We are blessed to have him join us as the new administrator for Gathering Together – Liberia. He has been a longtime friend of Gathering Together, being with us every step of the way and helping with every project. We are now formalizing his involvement and look to utilize his IT training more in the future as we expand. 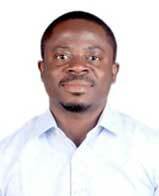 Augustine has joined as our new Medical Coordinator. He has completed his Physician’s Assistant courses. He follows in the footsteps of Lara, in his concern and care for physically ill people. Augustine’s joy knew no bounds when he discovered, through a Facebook post,that Lara and a team were in Liberia. He was able to connect with Lara for the first-time face to face. He met Lara and volunteered to work alongside of her. Even before an official roll with GT was formalized, Augustine personally following up with patients thrice a week in SackieGbomoh out of compassion for those that had no other healthcare options. This heart and dedication has been proven time and time again.He has displayed a high level of competency in caring for people in need of medical interventions. Augustine has recently married and the Gathering Together team joined him in his wedding celebrations. 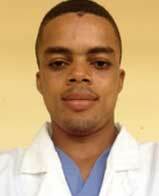 Augustine works at JFK hospital, Refuge Place Clinic, and helps GT when it is needed. Welcome Augustine.